dealing desk execution. The CHOICE is yours. FXCM has two types of forex execution: No Dealing Desk (NDD) and dealing desk. The execution you choose impacts your trading experience and spreads. FXCM recommends NDD execution as it provides the best overall trading experience. Dealing desk execution provides lower spreads for twelve of FXCM's most popularly traded currency pairs, however trading restrictions apply. The table below is intended to help you determine which forex execution is best for you. FXCM does not re-quote orders or manipulate market prices. 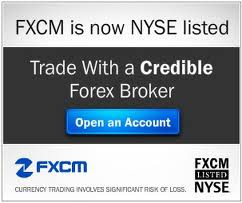 FXCM can profit from the trading losses of its clients. All orders execute at the best bid/best ask prices from FXCM's No Dealing Desk price feed. The market maker (FXCM) can see your stop, limit and entry orders, but FXCM does not re-quote orders or manipulate prices. Orders fill at a single price. Scalping is allowed, but FXCM reserves the right to manage its risk by changing your execution type. News trading is allowed, but FXCM reserves the right to manage its risk by changing your execution type. Automated trading is allowed, but FXCM reserves the right to manage its risk by changing your execution type. API trading is not allowed. FXCM APIs do not operate with dealing desk forex execution.